Lightweight. Highest working load in its class. Secure, versatile and secure attachement. 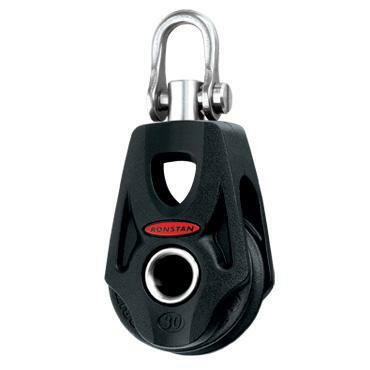 Low profile and compact Ultra low profile thru-sheave becket. Low friction 2-stage ball bearing system provides consistent performance over the full working load range.